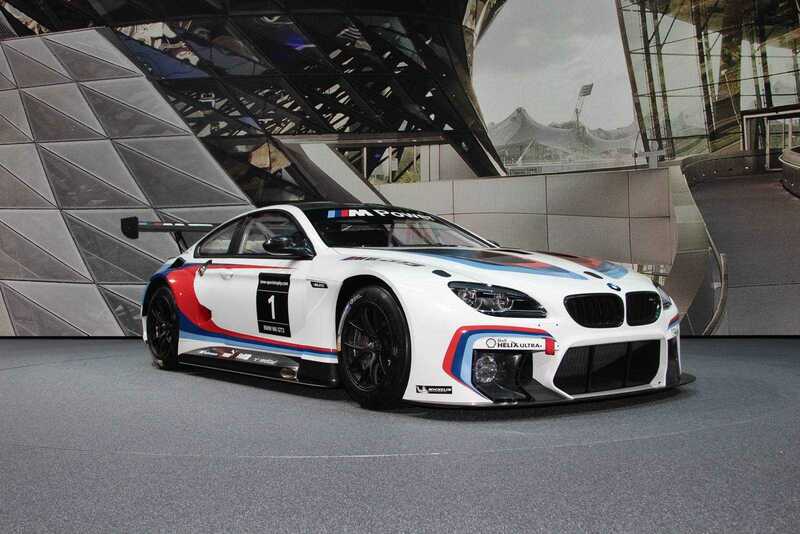 BMW’s M6 GT3 was debuted at the 66th IAA Cars 2105 in Frankfurt. Priced at £379,000, the newly developed racing car version of the BMW M6 coupe is set to take the GT racing circuit by storm. The new racing car is expected to be sent to a host of championships and important global racing circuits by multiple private teams from the 2016 season, under the BMW Sports Trophy umbrella. 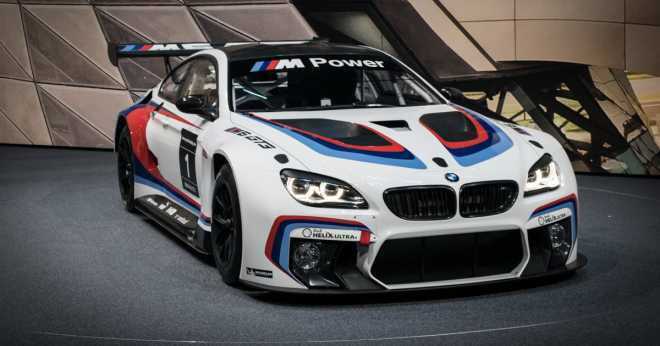 Leveraging on its experience from building the BMW Z4 GT3, the previous racing car launched in 2010, BMW Motorsport developed and presented the all-new BMW M6 GT3. The improvements in the new GT3 include better drivability and fuel-economy. BMW employed the services of a new M TwinPower Turbo technology engine for increased torque and higher output. The long wheelbase and the centrally-stationed driver’s seat deliver an unprecedented driving experience never before seen on the racing scene. Weighing less than 1300 kilograms, the new BMW M6 GT3 which features the sequential 6-speed racing gearbox, transaxle drive concept and the BMW Wind Tunnel-optimized body aerodynamics promises to deliver an outstanding racing experience. Similarly the ease of maintenance, reliability and efficiency parameters would be fine-tuned to meet the rigorous demands of endurance racing. The longer wheelbase is estimated to enhance the handling characteristics as compared to the BMW Z4 GT3. Support engineers from BMW Motorsport and a steady supply of spare parts would benefit both the racing car and its owners. The new M6 GT3 was first showcased to BMW Motorsport customers before the 24-hour race at the Nurburgring-Nordschleife racing circuit in Germany. Subsequently detailed presentations were made by engineers and drivers to a select a few during a ‘closed room’ event held at the BMW M Testcenter Nurburg. Other fans got a glimpse of this racing masterpiece later at the M night event held prior to the endurance race dubbed, ‘Green Hell.’ In late June, the BMW M6 GT3 first went to the other side of the Atlantic wherein the North American teams were called to feast their eyes on the new beast at the United SportsCar Championship (USCC) in Watkins. At another launch in Belgium, the BMW M6 GT3 was showcased to fans, teams and drivers at the Spa-Francorchamps 24-hour race, purportedly the most important GT racing circuit in the world, before being debuted again at the 66th IAA Cars 2015. The BMW M6 GT3 has been rigorously tested on multiple circuits throughout 2015, enabling the BMW works drivers to garner valuable driving experience so as to develop and fine-tune the baseline set-up of the new endurance racing challenger. The company is reportedly working on the final changes and tunings before the new poster car makes its debut in the racing circuit in 2016.